The Literary Pig: Feeling peckish? the unbearable urge to write. 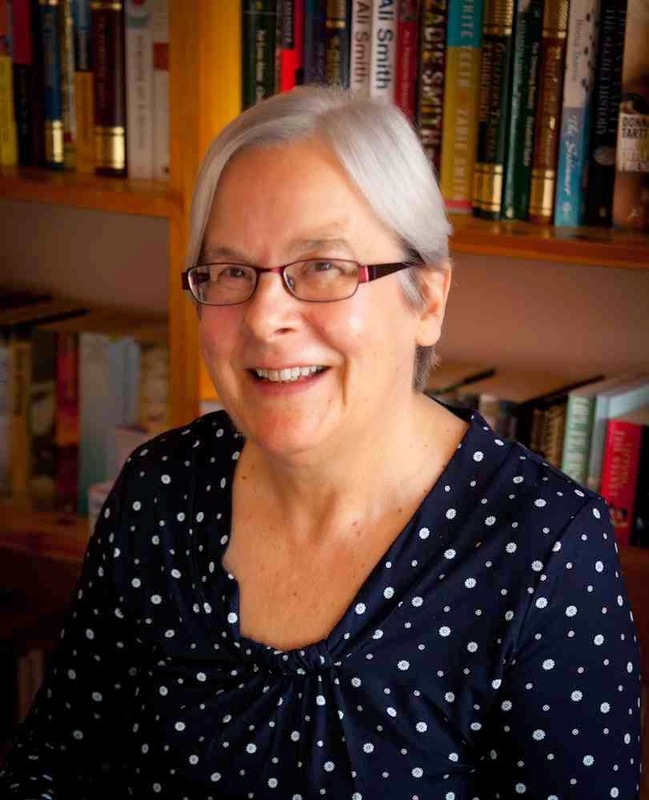 Please welcome the lovely Joy Bounds as our guest today. I first met Joy several years ago at the Swanwick Writers' Summer School (Joy and her pal, Shirley, host a great party) and never realised she was a vegetarian. I've been a veggie since leaving university (too many years ago to note) and recently started back on the 5:2 (Fasting) diet. Few of the recipe books for this diet are suitable for veggies so I was excited to discover Joy talking about her new book 5:2 Diet for Vegetarians on Facebook. 5:2 diet: you eat normally for 5 days (normally does not mean stuffing your face!) and then eat a restricted amount of calories (5-600) on 2 other days of the week (non-consecutive days). Simples! I'm not a terrific cook but do like to make soup and Joy has several excellent and tasty recipes such as orange & broccoli, mushroom & chestnut and my old favourite, butternut squash. I particularly liked how this has a 4 week plan (8 days in total) but you can of course mix and match. All the calories are clearly given and the instructions are well written and easy to follow. There's also low calorie versions of veggie chilli and ratatouille, which I must try out instead of resorting to opening a can ... You don't have to be a vegetarian to enjoy these recipes and I think you get more for your calorie count - a bonus! Hmm, now I leave you in Joy's capable hands while I going and try out her recipe for Shashouka (a middle-Eastern dish). How did you get the idea for a recipe book? The 5:2 diet became popular in 2013, and when I started it I discovered that there were very few recipes for veggies. As a veggie of 40+ years, I have an enormous repertoire of vegetarian dishes and I started to adapt these to suit the low-calorie count required by the diet. Publisher Luscious Books (who specialise in cookbooks for people who use a restricted range of foods) thought this might be useful to other vegetarians, especially if we created ‘the first month of the diet’ by providing eight full days of calorie-counted recipes. Around Christmas-time we brought the book out. How did you decide what to put in and leave out? Trying to create a dish of about 150 calories almost defines itself what foods you can use or not. Cheese, bread, potatoes, oil, even pulses can only be used in tiny amounts (all these no-no foods tend to be my favourites! ), so I adapted much-loved vegetable-based dishes. I also wanted to put in the book as wide a variety of vegetables as possible, and also types of dish (omelette to chili). It had to be interesting too, and hopefully offer something attractive to vegetarian dieters. Tell us about the research and cooking process. A lot of cooking trials were required to get the right balance of foods to add up to the right number of calories. For example, in soups the thickening agent (flour, potato etc) tends to be heavy on calories, so a balance has to be struck between that and the amount of stock and different vegetables (all of which have their own calorie count). Flavour is crucial, and herbs and spices come into their own as they are low in calories but deliver a punch. A tiny bit of a strongly-flavoured cheese (such as blue cheese or feta) is worth its weight in gold! Sometimes I would have a freezer full of tasty but ‘failed’ recipes! Counting calories can be tricky – how did you ensure accuracy? To my surprise, there doesn’t seem to be any gold-standard as far as calorie-counting is concerned, though books and online resources have broad agreement. I used mainly Collins Gem Calorie Counter as it was clear and very comprehensive – and easy to use in the busy kitchen. The calorie count will be more accurate when using the metric measures in the recipes (grams etc), and less so when using the less precise USA cup measurement. Have you used the book yourself to lose weight? The 5:2 diet has been a good way for me to lose and maintain my weight within reasonable limits. However, writing a cookbook is not a good way to lose weight, so I am currently working my way through the book again. I really like the idea of having a whole day’s meals planned and calorie-counted for me, and I’m pleased with the recipes in the book as I cook them in their final version once more. You can find 5:2 Diet for Vegetarians here on Amazon Kindle. I have found the 5:2 diet works for me and is the only diet I've ever been able to stick to and keep off weight. But I understand it may not suit everyone. Thank you, Tracy and Joy. This book sounds wonderfully inspiring. I have been a vegetarian for a long time and keep finding myself making the same old meals, usually veg chilli. I need this book to give me a better variety of ideas and one of my daughters, who eats hardly any meat and wants to try healthier options, will love it too. Yes, I'm the same, Joanna. Bit stuck in a rut with my veggie recipes too. Hope you find this helpful. Thank you Joanna. One of the ideas behind the book was: dieting is hard - even if you can only eat a small dish, then it's good for it to be tasty. Hope you enjoy the recipes. What an interesting idea for a book. Why didn't I think of it! Congratulations: sounds like there could be a TV show in this - or at least an appearance on Woman's Hour. I was really pleased to find recipes especially for veggies, Julia. Makes it so much easer when the calories are counted for you. Thanks for you comment, Julia. I haven't written a cookbook before, and found it very interesting. Not sure I'm quite ready for TV! Having said that - where are the veggie cookery programmes? I'm not a veggie and don't like the idea of fasting - but I do like the idea of some low calorie vegetable meals for healthy snacks and lunches. Hi Patsy, thanks for responding. I don't get on very well with fasting either, which is what the original 5:2 diet book recommended. If you follow my book, you will eat a small amount three times a day. But of course, just use any recipes in there you fancy. 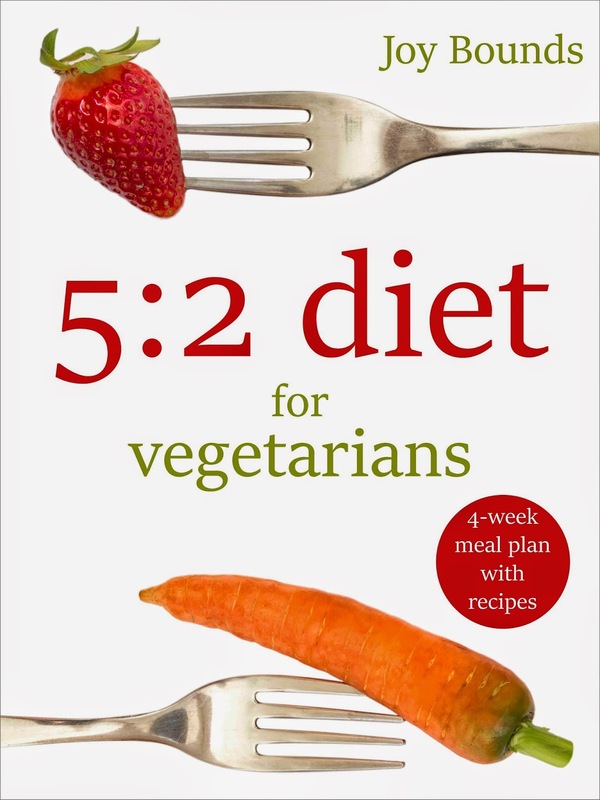 I'm not a veggie but the whole idea of the 5:2 diet makes a lot is sense and this book looks like it contains some lovely recipes, whether you're dieting or not. The diet works for me, Wendy, but not everyone likes the fasting element. I definitely recommend Joy's recipes for healthy eating though. Thanks Wendy. I hope you'll enjoy following the recipes. They can easily be scaled up if you're just looking for some tasty new dishes, rather than keeping to a strict low calorie count. I love my veg, but couldn't claim to be a veggie. I've also tried one of the 5:2 diets but struggled with the fasting. I really like the sound of your book though, Joy, so I'll be having another go. Thank you for stopping by, Rena. Hope you enjoy the recipes. Thanks Rena, for your comments, and for giving the diet another go. It would be great to know how you get on in due course. I'm an award winning writer and playwright living close to the South Downs in West Sussex. Shortlisted: 2015 Fish and 2014 Commonwealth Writers Short Story Prizes. Short stories and flash fiction published in national mags, online and in anthologies. Many other competition credits for both fiction and drama. Features published in Writing Magazine and on Thresholds. Currently seeking representation for my debut novel (completed), from which the Fish/Commonwealth short stories are taken. Final year of an MA in Creative Writing at Chichester University. Copyright © 2011 Tracy Fells. Watermark theme. Powered by Blogger.